Like supermodels, boats are mainly skin and bones, with some extra bits for added interest. Big boats, like models and dinosaurs, carry their bones around inside them for strength and to help them keep their shape. 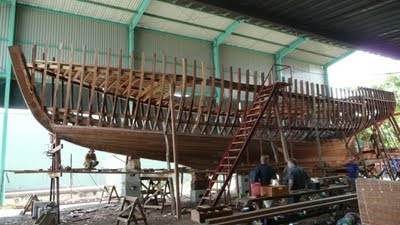 But small boats shed most of their bones before birth to save weight, retaining just enough of them to maintain their shape. It's a bit like a snake shedding it's skin, only in this case, it's the skin -- the bottom and sides of the boat -- that we're after. To build those soon-to-be-shed bones, I needed to build Cabin Boy's four molds. 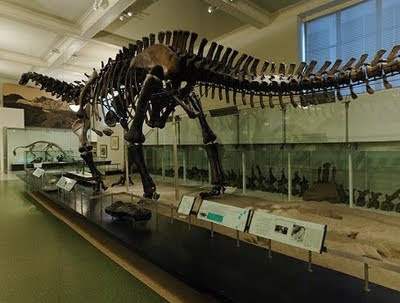 A mold is something like the rib of an Apatosaurus, only smaller. The boat's skin (planking) is bent around the molds. 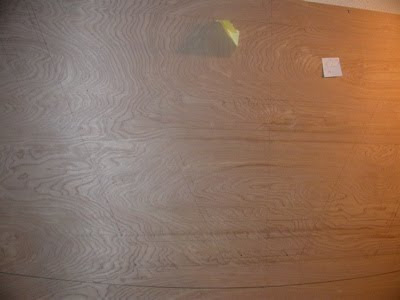 When the planking is secured and reinforced, the molds are removed. It seemed a bit more complicated than that, but that was the basic idea, I thought. 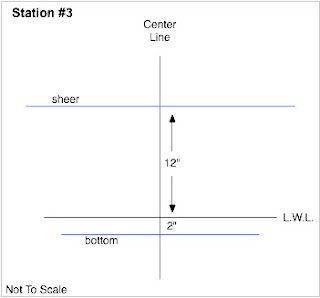 To build the mold for Station #3, for example, you start buy lofting the Body Plan for Station #3. I thought this would be pretty easy, now that I had perfected my lofting techniques. The first step was to draw the grid for the Body Plan. This was nothing more than a vertical Center Line (drawn with my plumb-bob), and a horizontal Load Waterline (LWL), drawn using my home-made beam compass. Next, I needed to draw in the bottom of the boat. 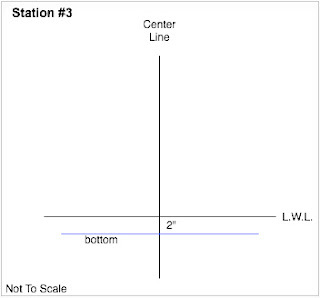 On Station 3, the bottom is 2" below the LWL (not the real measurements, which are copyright John Atkin). 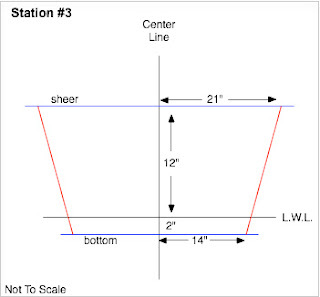 To do this, I just put a mark 2" below the LWL on the CL, and then used my beam compass to draw the horizontal bottom line. Then I did the same for the line for the top of the boat, which is called the Sheer Line. Drawing in the sides of the boat is easy as connect-the-dots. 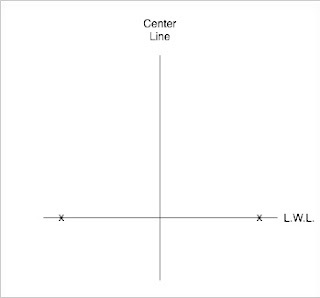 There are 4 dots to draw: 2 on the Bottom line, 14" on either side of the Center line, and 2 on the Sheer line, 21" from the Center line. Then you just take your straight edge and connect them. And that was the Body Plan for Station #3. Easy, peasy.